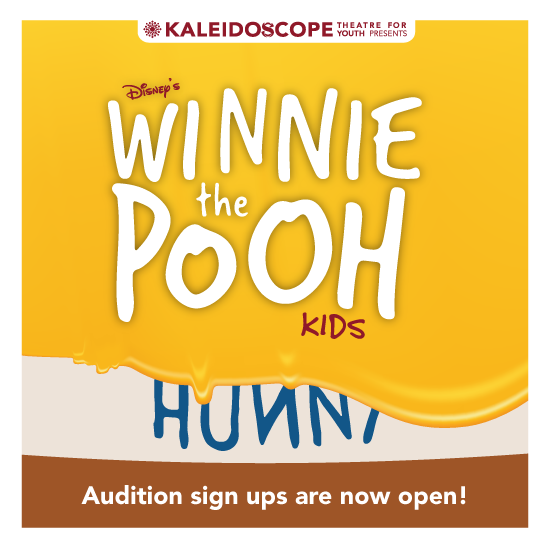 CLICK HERE to sign up for an audition today! Disney's Winnie the Pooh KIDS is a delightful show based on the beloved characters of A.A. Milne and the 2011 Disney animated feature film. Featuring favorite songs from the film, as well as new hits by the Academy Award-winning Robert and Kristen Lopez (Frozen), this honey-filled delight is as sweet as it is fun. Welcome to the Hundred Acre Wood, where Winnie the Pooh is once again in search of honey. Along the way, he meets his pals, Tigger, Piglet, Rabbit and Owl, but soon discovers that Christopher Robin has been captured by the mysterious Backson! As they prepare for a rescue operation, the animals learn about teamwork, friendship and, of course...sharing snacks. All of our performers (ages 5-12) will be featured throughout this beloved production!